While Acer did announce a couple new tablets at the MWC, that doesn’t mean that they’re shying away from their netbook line. The newest reinforcements to the Aspire One netbook line come courtesy of the D257; featuring a new design and some appealing choices as far as colors go. 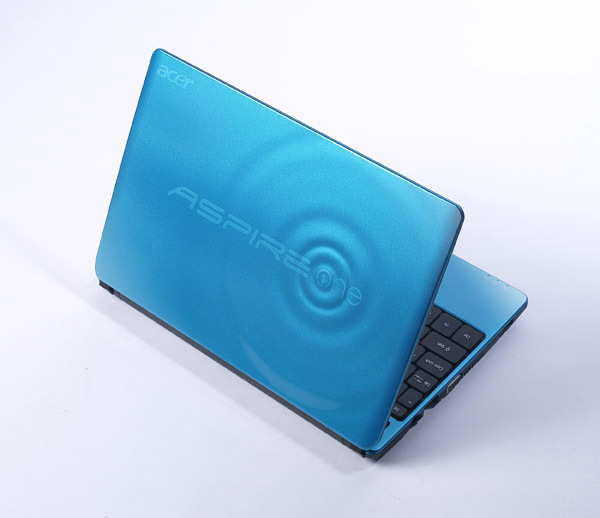 The new Aspire One will come with an Intel Atom dual-core 1.5 GHz N550 processor, 1GB of RAM, a 3 Cell or 6 Cell battery, and a 10.1” display with a 1024x600 pixel resolution. While the specs aren’t anything to write home about, the new design does have some striking features. The new lid features a “droplet” effect starting from the “O” in One and radiating outwards. Also included in the new design are softer corners and lines, inclusion of the power button in the hinge itself, a single mouse button, and a scroll bar to the right of the touchpad. Another feature that Acer has added to the D257 is the ability to dual-boot between Windows 7 Starter and Android OS. Unfortunately, the exact version of Android featured is unknown but it should provide some flexibility nonetheless. While pricing and release date are mysteries for now, it has been announced that the D257 will be available in Aquamarine, Dark Chocolate, and White Seashell colors.